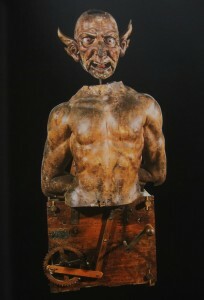 Settala’s Machine is scored for wind dectet; it is a musical depiction of the actions of an extraordinary 17th century automaton, ‘Settala’s Machine’, designed by Manfredo Settala and pictured here. The piece was commissioned with the express purpose of providing an opportunity for young wind players to study and perform side-by-side with the NLCE. The premiere was given by the NLCE in October 2012 at the Royal Welsh College of Music and Drama, alongside five of the College’s postgraduate wind players, directed by Meyrick Alexander. It has since been performed with players from the Purcell School of Music, the National Youth Chamber Orchestra, the Royal Academy of Music (Cheltenham International Festival 2014) and the Junior Academy, and is due to be performed in May 2015 with players from Trinity College Laban. Rondes d’Automne is a nonet for wind quintet, string trio and double bass, commissioned by the New London Chamber Ensemble in 2011. The NLCE were joined by the Dante Quartet to give its premiere performance at the Cheltenham International Festival in 2011, and have since recorded it with members of the Navarra Quartet and Leon Bosch for NMC. The CD is due to be released early in 2016. This set of pieces was commissioned by the New London Chamber Ensemble in celebration of John Woolrich’s 50th birthday and subsequently recorded as part of their album of his wind music: ‘Cabinet of Curiosities’ for the Meridian label.